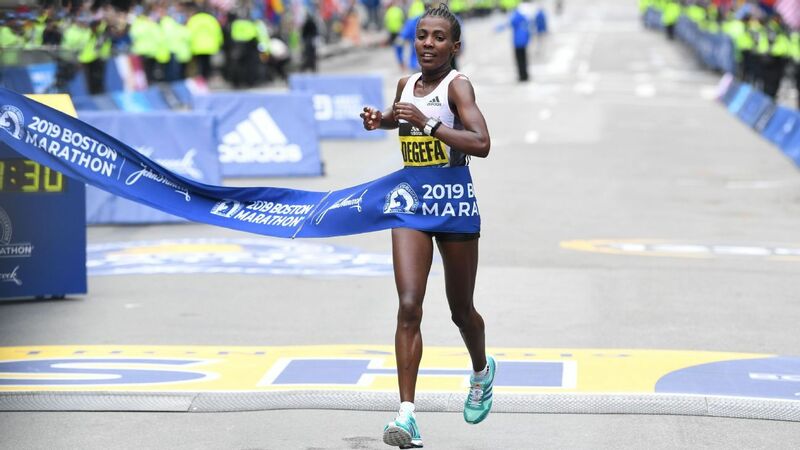 Cherono of Kenya won one of the tightest stretch duels in the event's history, and Ethiopia's Degefa surged away from the women's lead pack at the 5-mile mark. At 13, Ann Hirakawa left war-torn Vietnam with her family, and it was the American Red Cross that helped them with food, clothes and English lessons. This year, she'll run the Boston Marathon to raise money for the organization. World athletic governing body IAAF said on Monday it had decided not to lift a ban on Russia's athletic federation over doping. Kipchoge made it three wins from as many appearances at the London Marathon last year, finishing more than two minutes clear of European record holder Farah. Tom Watson, the deputy Labour leader, has called for sports governing bodies to introduce a single unified concussion protocol after accusing football of "turning a blind eye to the brain injury epidemic." Former European long jump champion Ineta Radevica has tested positive for the steroid oxandrolone in a retest of her sample from the 2012 Olympics. Marko Cheseto, a former University of Alaska Anchorage runner who lost both of his feet to frostbite in 2011, ran his first marathon in 2:52:33 last week and became an American citizen two days later. Mary Keitany and Lelisa Desisa won the New York City Marathon on Sunday, with Keitany dominating the strong women's field for her fourth victory in the event and Desisa surging ahead of two other runners near the finish line. Linda Helleland, who has emerged as a favorite among athletes who want radical change in WADA, would not be eligible to be president under a new age requirement proposal. WADA president Sir Craig Reedie hit back at criticism from the United States by telling their anti-doping organisation to focus on their own shortcomings.